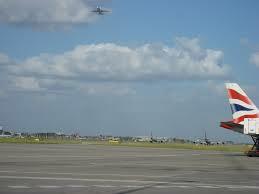 Compare Car Hire at Heathrow Airport - Cheaper MPV, SUV Minivan Rental at London Heathrow Airport. 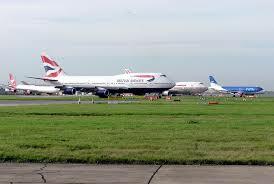 Get your car hire at Heathrow Airport here, or perhaps that larger estate car car, SUV, MPV or 7, 9 seater minivan. 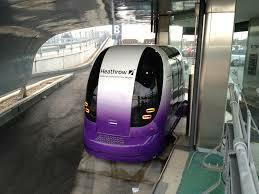 Where collect/return cars at Heathrow? 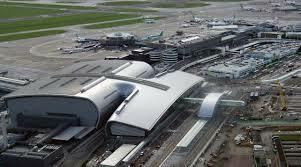 - Apart from those using Terminal 5, all car rental companies are on the Northern Perimeter Road, which is before you go in the tunnel. Free shuttle buses operate to all terminals, so do allow time, as you cannot leave car in airport. If not want a shuttle, then look for Avis who keep a fleet in the airport itself, but best pre-book through us, as cheaper and ensure vehicle there on landing. Regarded as the world's busiest airport, Heathrow started in business after the end of the second World War, when BOAC (British Overseas Aircraft Corporation) started flying. The first terminal was a tent. BEA (British European Airways, later joined with BOAC to form British Airways, who dominate the parking bays at Heathrow. Although London has a number of other airports, Gatwick, Stansted, London City and Luton, Heathrow continues to expand, now with Terminal 5 and talk already of a Terminal 6. With Heathrow situated on the edge of Europe and America on one side, and Asia on the other, it is not surprising that the majority of trans Atlantic flights land here. Heathrow is also a busy cargo airport. Although twenty miles outside of London, Heathrow Airport is on the Bath Road and is easily accessible through an array of transport links. There is also much to see outside of London, with Stonehenge an hour or so away, should you decide to hire a car. Driving around England, Scotland and Wales is easily done, either by using the motorway system, or taking the back roads to see the countryside and seaside beyond. The Paddington Express train link gets you there in 12 minutes from central London, or you can take the Underground tube via Hatton Cross to Earls Court and in Central London. Quality Minivans, SUVs snd estates at Heathrow Airport. Save with Alamo, Budget, Sixt and others. Hird a cheaper holiday auto here. London Black Cabs also willingly take you to and from the airport, as do National Express buses, London buses, and the Gatwick Express. The M4 runs straight past the airport, as does the M25, so hire car at the airport. If you have your own car, and not a rental, then parking in the short, or long term car parks is a popular option. All the car hire companies are on the ring road, so do not drive through the tunnel expecting to be able leave your car at a terminal. If returning a hire car, you will need to go to leave your hire car at the depots on the Perimeter Road, and then get a courtesy shuttle bus to your terminal. 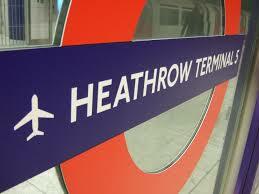 If need to get from Heathrow to Gatwick Airport, then can go by car, train or bus. If by car, get on M3 and head south and follow signs. If by train, get the tube into London and catch a train from Waterloo. 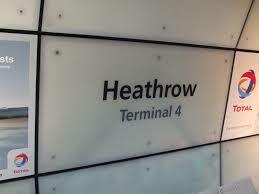 Leaving Heathrow to fly to Manchester and car need there? Or maybe going further north to Glasgow in Scotland? Wherever you are going check our car hire rates for England, Scotland, Wales and Northern Ireland.